The idea of a layout is to run trains. I dislike the noise usually assocated with model trains, the incessant din, that drums through the plywood baseboard, and becomes an overbearing racket, to which I have been exposed at shows for often days at a time. However, this time I think I have created the ideal. 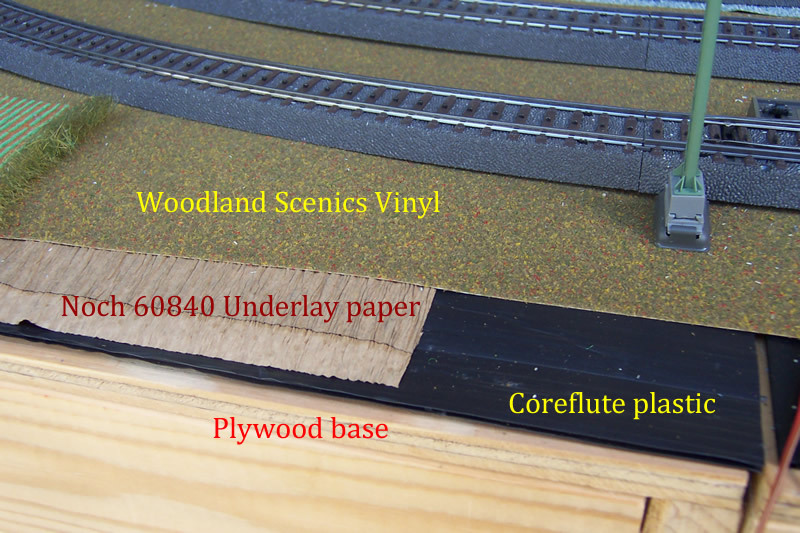 It uses a vinyl or core-flute underlay (available from a flooring shop, or even given away by hardware shops if it comes sandwiched between block layers). In addition to this I use a Noch product, of which I cannot speak too highly - see pictures. 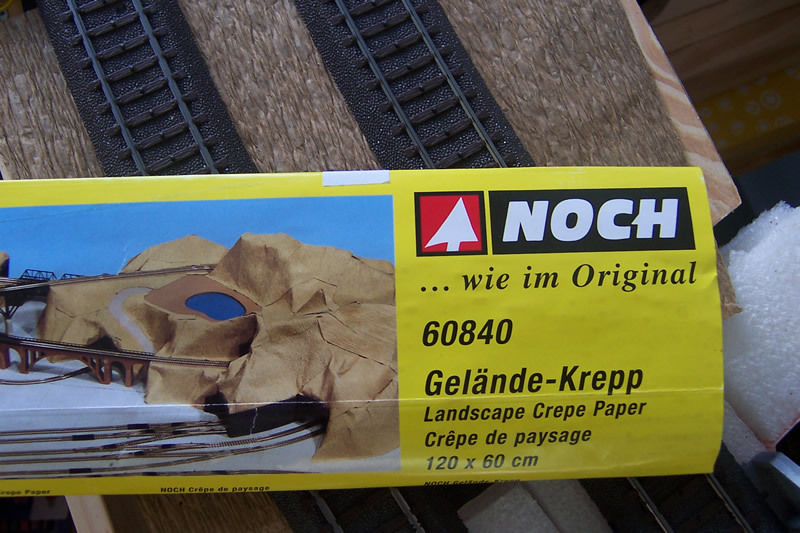 Lastly, I use one of the landscape papers (ballast, grass etc by Woodland Scenics, Noch, Busch etc) that go directly under the track. I use Marklin C track, which has a built-in plastic ballast. The Noch underlay is a coat of tar, or similar substance, sandwiched between two sheets of crinkly heavy paper. It is brilliant, and certainly deadens a lot of track based noise which is normally transmitted to the baseboard.